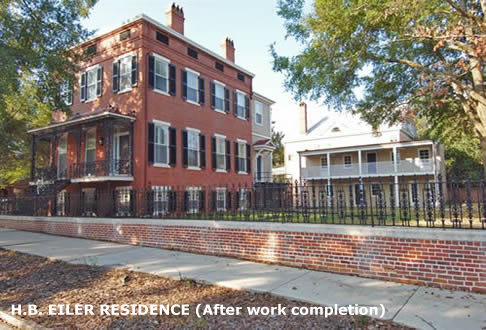 Pro-Tech served as a major restoration subcontractor to LMI Builders for thei project. 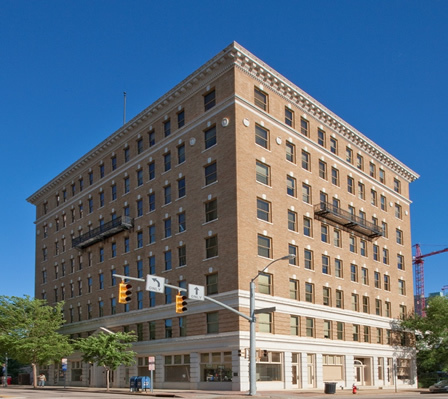 Take the transformational journey from 20th century innovation at the R. J. Reynolds Tobacco Company's Buildings 91a and 91b, to 21st century discovery at Wake Forest Biotech Place, where researchers uncover tomorrow's health care treatments today. 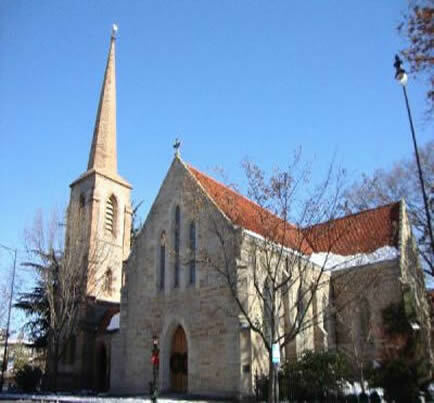 Construction was completed on this church in 1854. Job number one was to stop the erosion of the sand stone bell tower. Pro-Tech accomplished this by applying ProSoCo’s Conservare H100. Later the entire church was chemically cleaned and tuckpointed 100%. 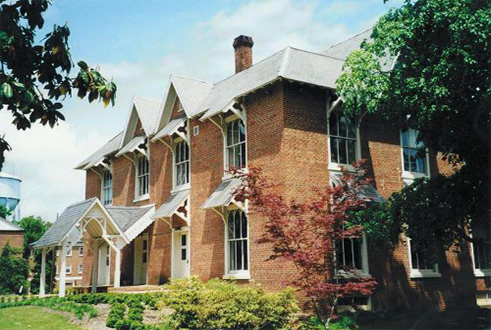 It is located directly across the street from the State Capital in Raleigh. 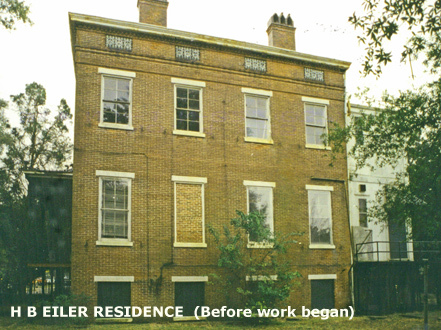 The award winning restoration of the H B Eiler residence and carriage house c. 1850 was supervised and completed by D P Thomas Construction of Wilmington. 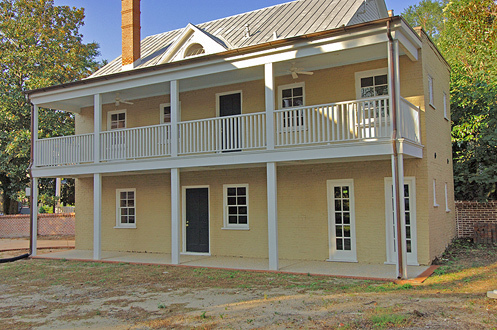 Pro-Tech Construction chemically cleaned the exterior walls the residence and also restored both the interior and exterior masonry of the carriage house. 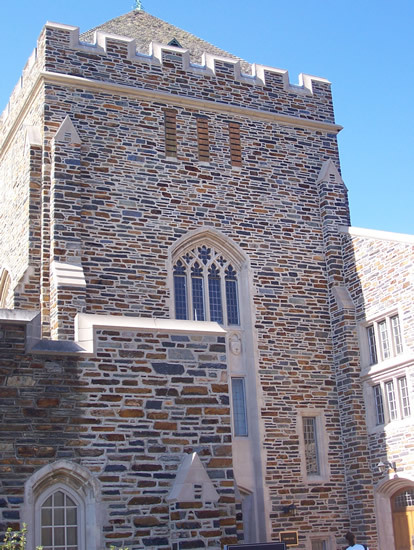 Pro-Tech matched the historic mortar and tuckpointed the building 100%. 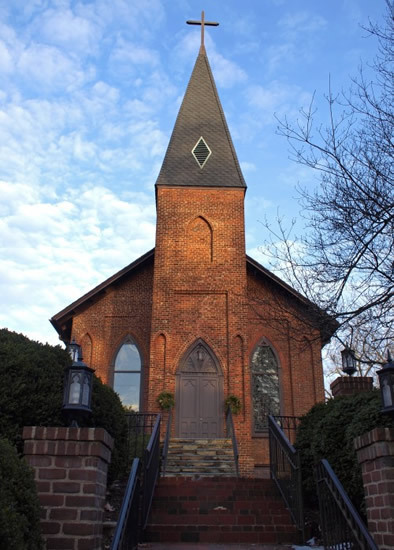 Pro-Tech replaced broken and deteriorated brick in historic church façade. We also constructed a stone landing at the rear entrance.